365 Talent Portal members had a really informative Dynamics 365 session with Renato Leite, Partner Technology Specialist from Microsoft USA on Friday 29th July. 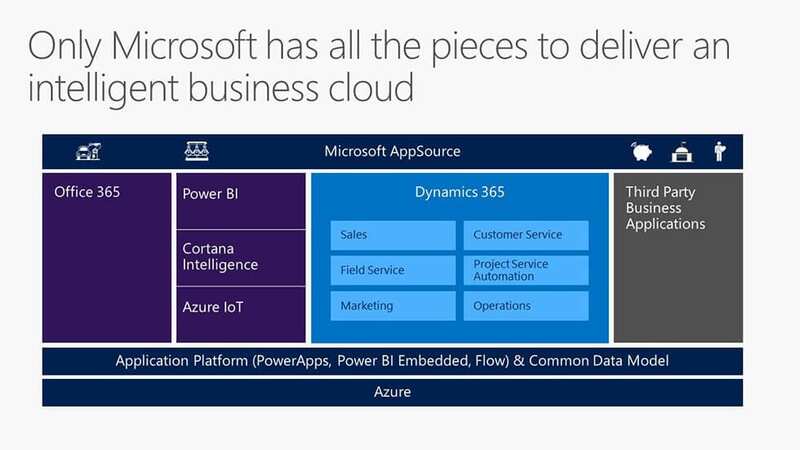 Dynamics 365 is the new announcement from Microsoft made at this year’s Worldwide Partner Conference in Toronto – a Cloud-focussed ERP, CRM and Analytics solution that looks to set a new direction in how these services are sold and consumed. Please see here for discussion about the initial impressions from the announcements. Business edition – a Cloud-only solution, optimised for firms with 10-250 employees, this will include financial and ERP functionality from the new ‘Project Madeira’, plus sales and marketing functionality from CRM. This will have a maximum user limit of 300 users. It looks like a significant step away from the small business use that CRM online has done so well in, into the mid market. Enterprise edition – a ‘dual use’ solution aimed at organisations with 250 or more employees, it comprises Dynamics AX and Dynamics CRM, and starts at 20 users minimum. So that is potentially a large overlap with Business Edition and purchasers will need a clear understanding of which option to go for. This will become clearer once Project Madeira is better understood. Microsoft is making big changes here, believing it is “Liberating customers from traditional Business Apps Licencing”. Key to this is the recognition that many users need a variety of information and process from what are currently seen as separate business modules – for instance someone in Customer Services would typically need access to CRM sales data, CRM service history data, CRM knowledge base, ERP stock and ERP delivery data. Traditionally, they would need a licence to use each of these, which can quickly get complicated and expensive. Microsoft is planning to solve this issue by licencing by role – where they decide what information and process a typical Customer Service Rep would need. As I’ve said before, this is a good idea, but the proof point will come in how well they define this, and what flexibility there is for different types of the same role by company size, market and geography. These roles will be available via consuming Apps in different licencing ‘Plans’ which Microsoft say will be’ more economically favourable due to tiered pricing’ so everyone can look forward to the pricing announcements due in the next few months. This new licencing model will also incorporate both ‘light’ users – known as ‘Team Members’ ie members of teams who need ad hoc access to partial information, and ‘full’ users who live in CRM and ERP most of the time. See the presentation links below for more information about the plans and how current CRM and ERP licencing will map onto the new model. and download a recording of the whole session from here. Many thanks to Renato, and also to Lindsay Lindstrom who was instrumental in helping us put this event together. At 365 Talent Portal we run web and face to face briefings on a regular basis. If you have any particular subjects you would like us to cover, please let us know via email here. About us: 365 Talent Portal is the first online platform that gives Microsoft Dynamics partners and end-users instant access to thousands of skilled, certified independent consultants. With a network spanning 114 countries, it allows companies to search for consultants based on their skills, rates and available dates, enabling them to find the best person for their projects without incurring the hefty fees typical of recruitment agencies. To find and hire excellent Dynamics resource, please register at www.365talentportal.com.